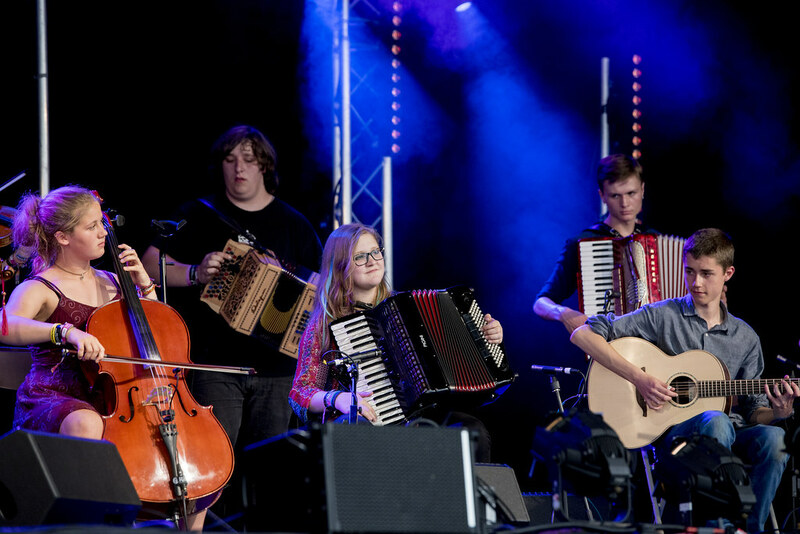 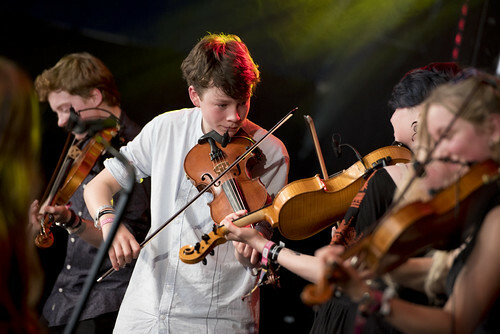 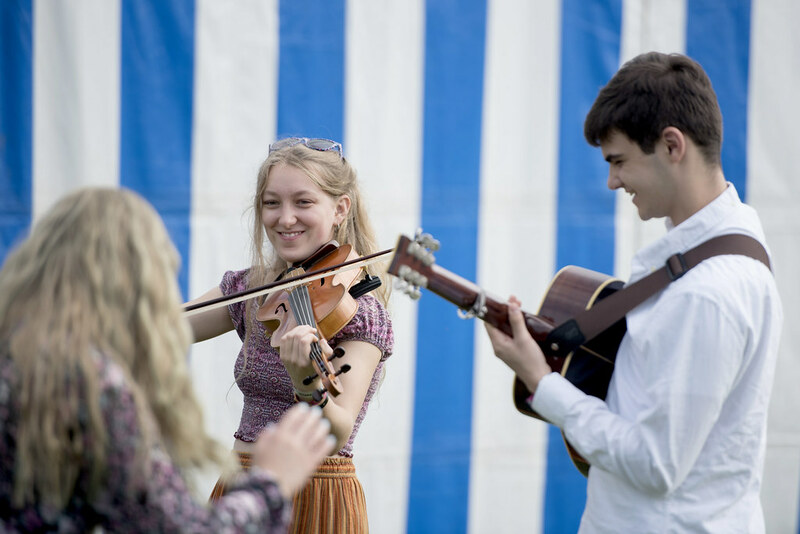 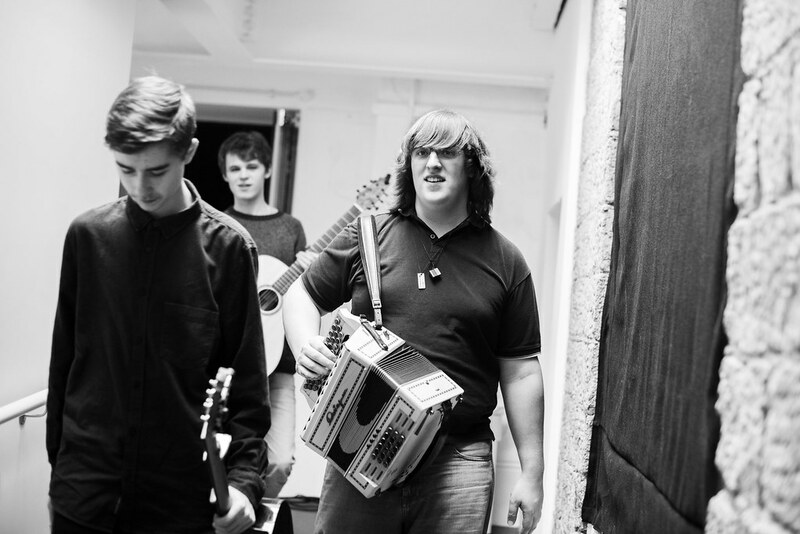 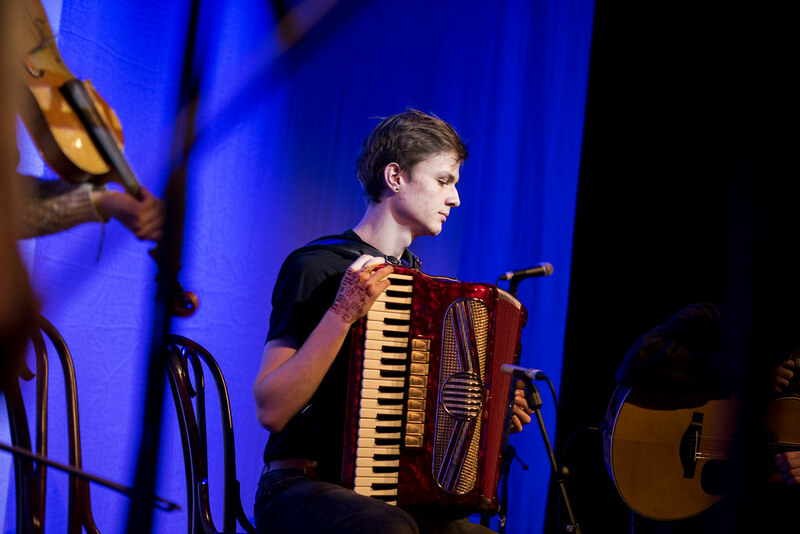 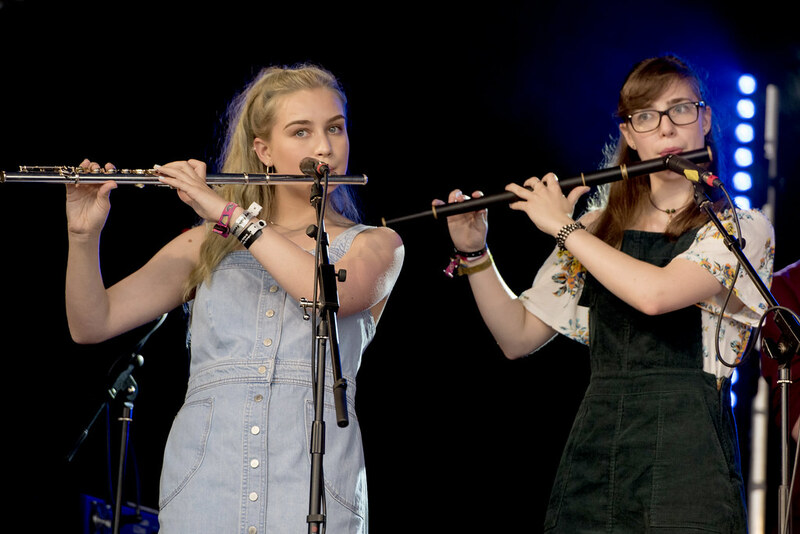 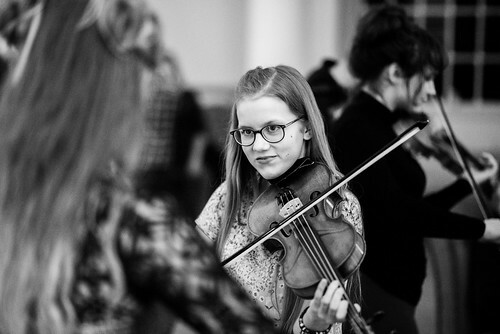 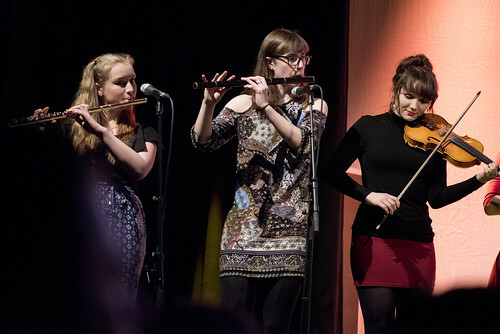 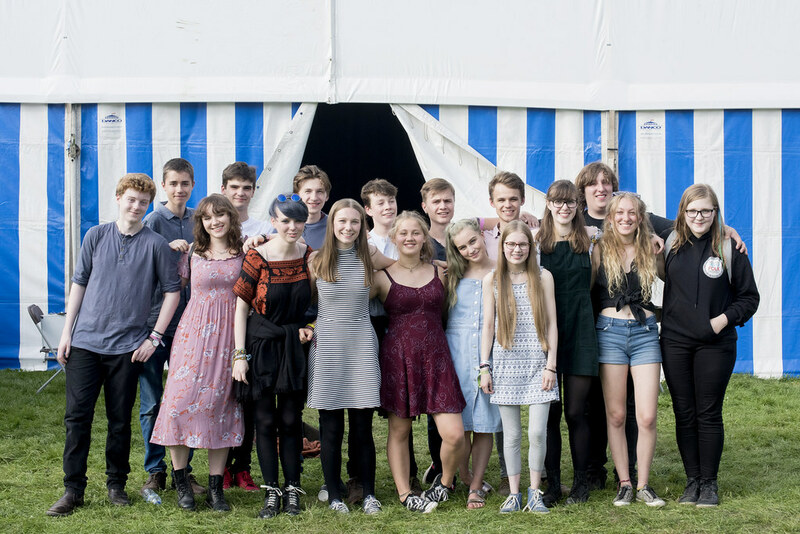 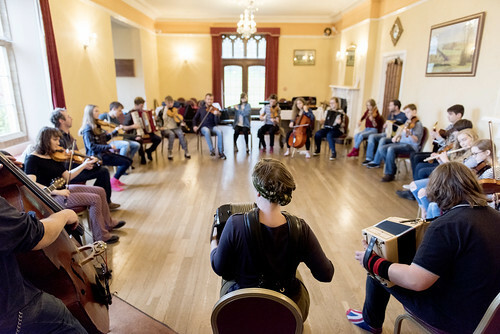 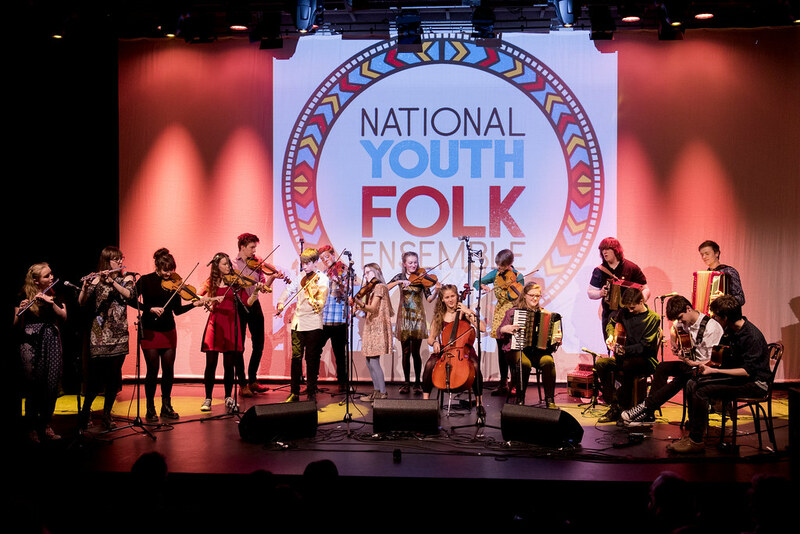 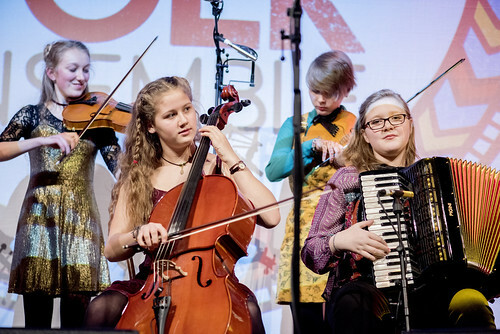 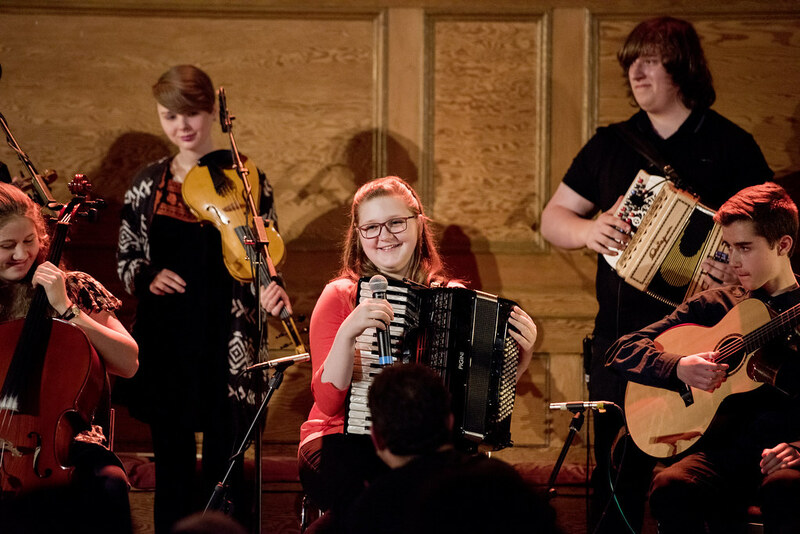 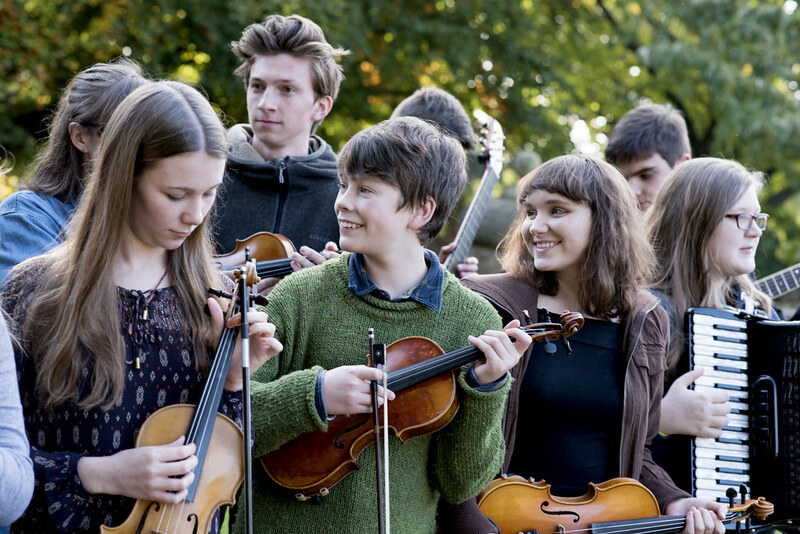 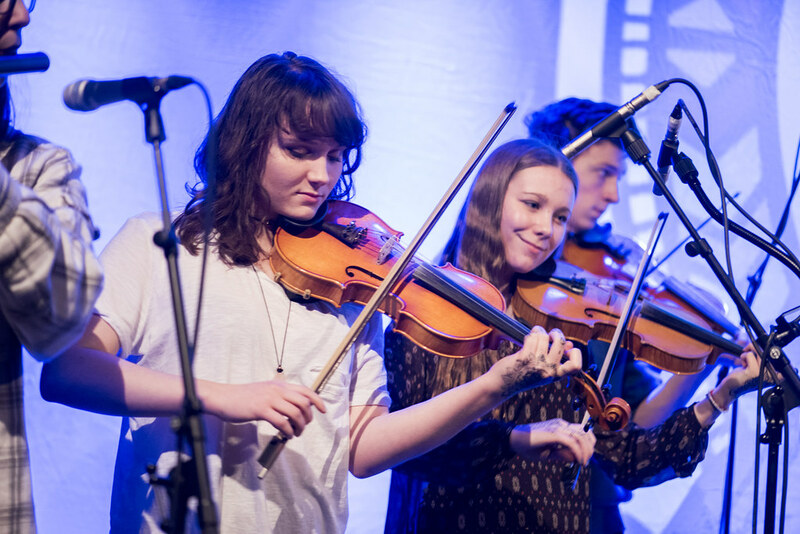 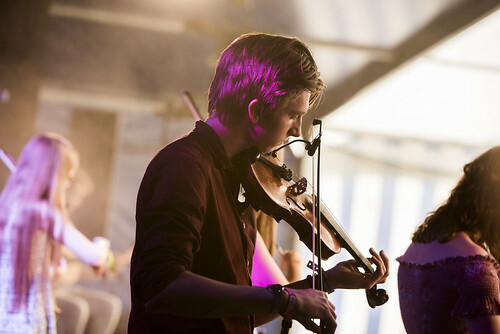 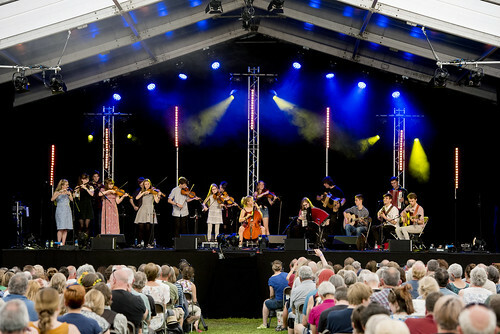 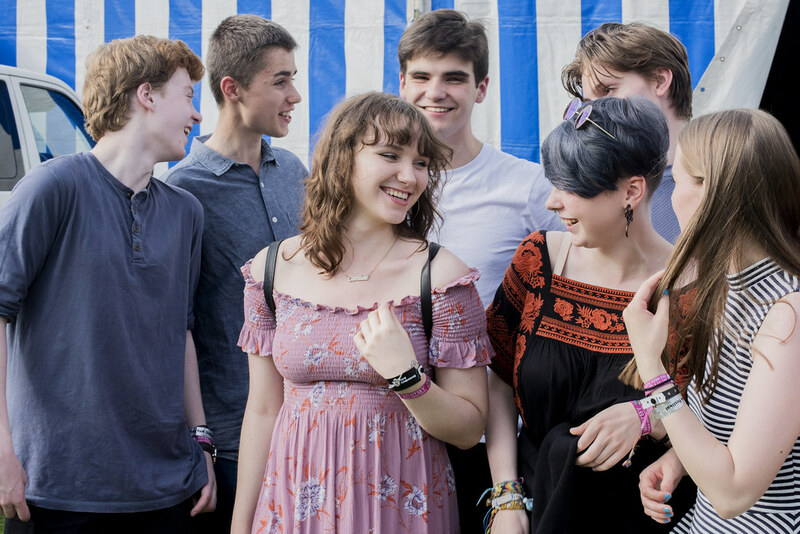 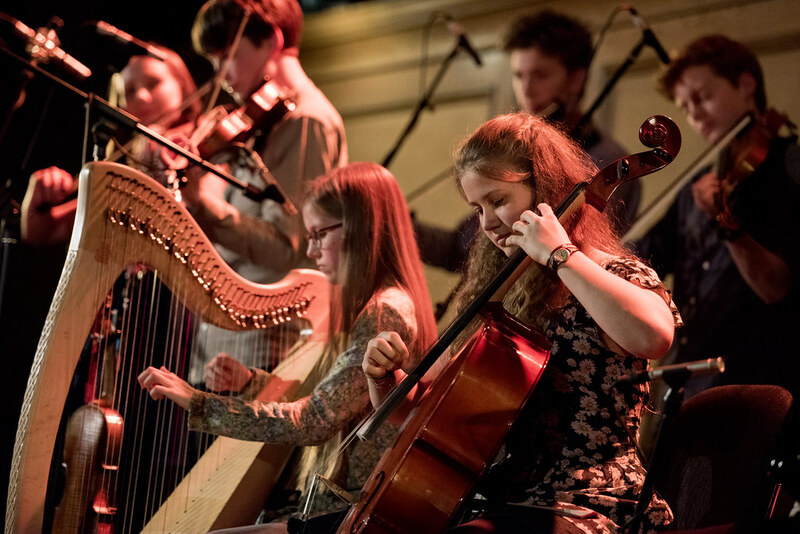 The first cohort of the National Youth Folk Ensemble was made up of 17 talented young folk musicians who play fiddle, flute, accordion, melodeon, cello, viola, guitar, harp and uilleann pipes. 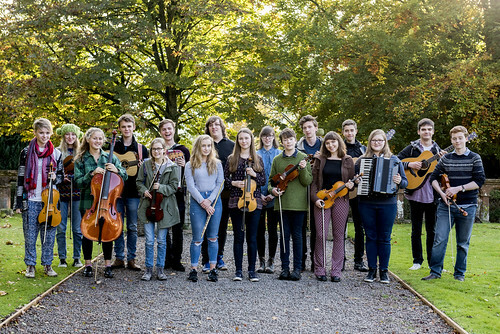 Between October 2016 and August 2017 they took part in four intensive residential courses, led by Artistic Director Sam Sweeney, and gave public performances at The Met in Bury, Cecil Sharp House in London, Guildhall Theatre in Derby, Whitby Folk Week and Shrewsbury Folk Festival. 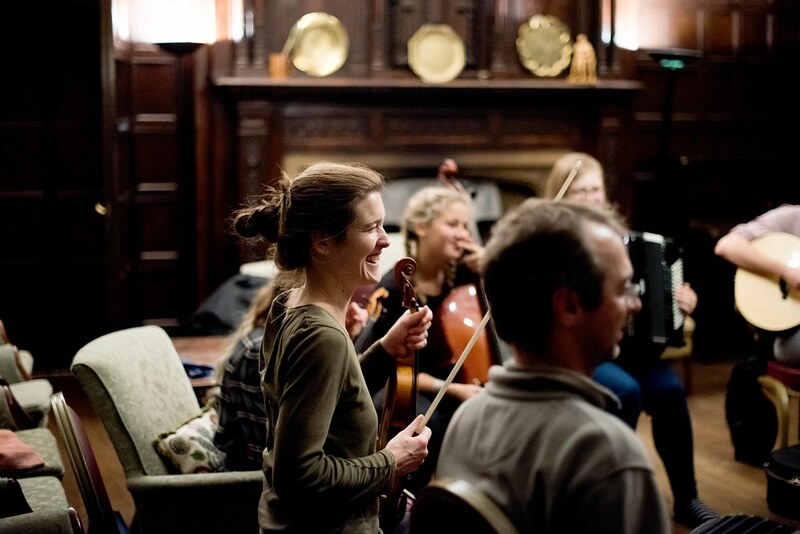 The first meeting took place at Halsway Manor and it was a great success! 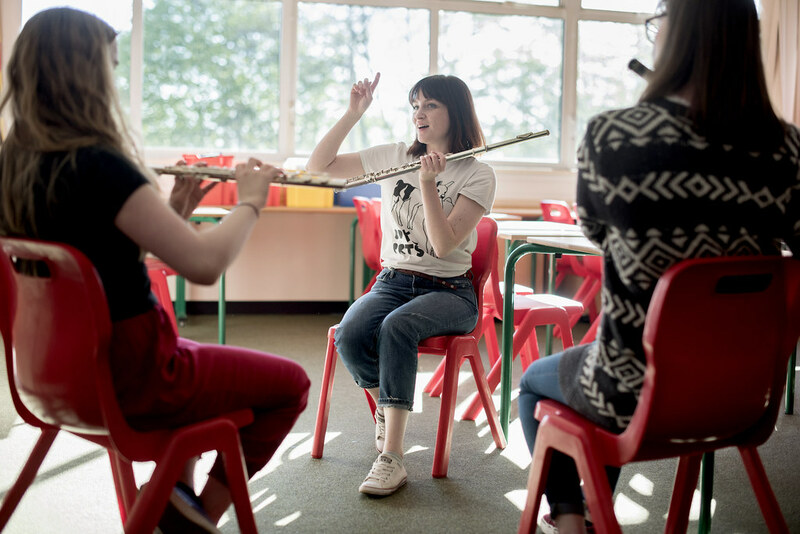 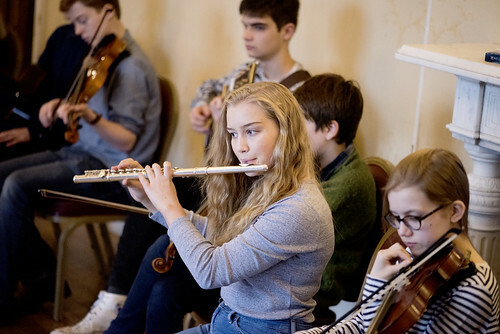 The young musicians travelled to Somerset from all over England and spent 5 days learning from and making music with tutors Sam Sweeney, Rob Harbron, Miranda Rutter, Saul Rose, Becky Price and Ben Nicholls. The Ensemble members created music in small groups and as a full band, had one-to-one sessions on their instruments, wrote compositions, discovered repertoire in English tune books, performed to each other, danced in a ceilidh and had a taster session in morris dancing! 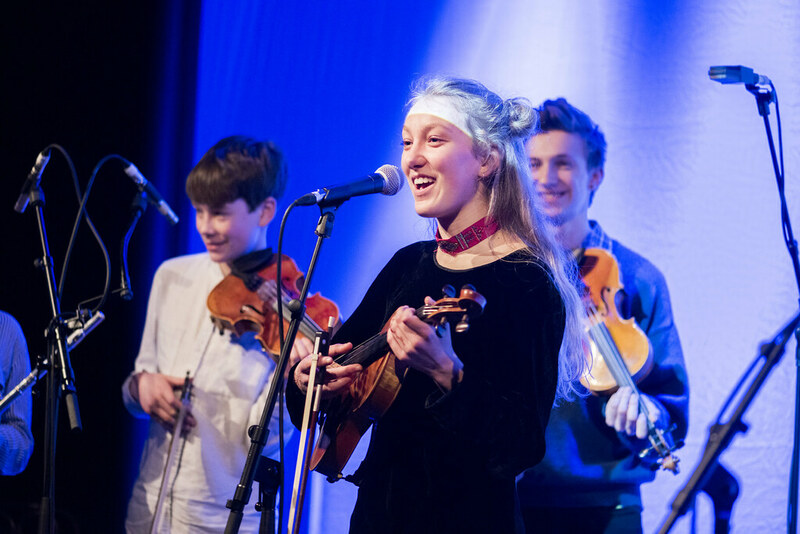 They got to know each other musically and socially and began to create musical arrangements for their first public performances in 2017. The National Youth Folk Ensemble's debut performance took place at The Met on Friday 17 February 2017. 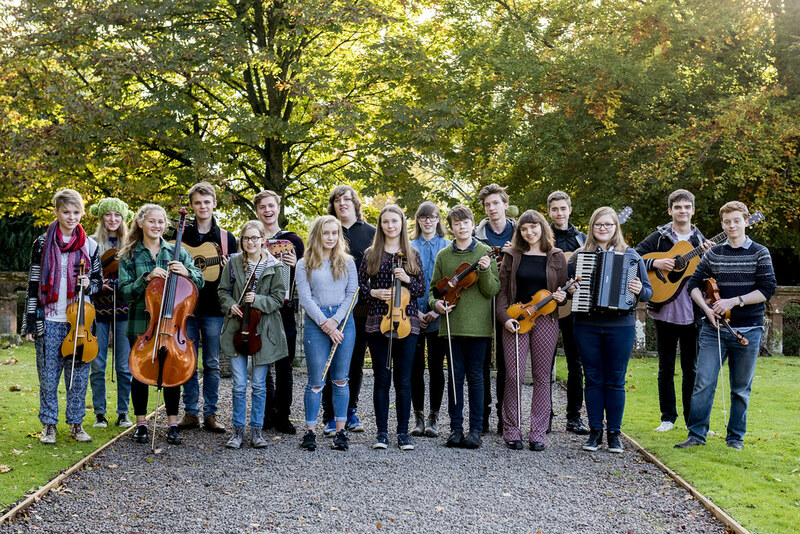 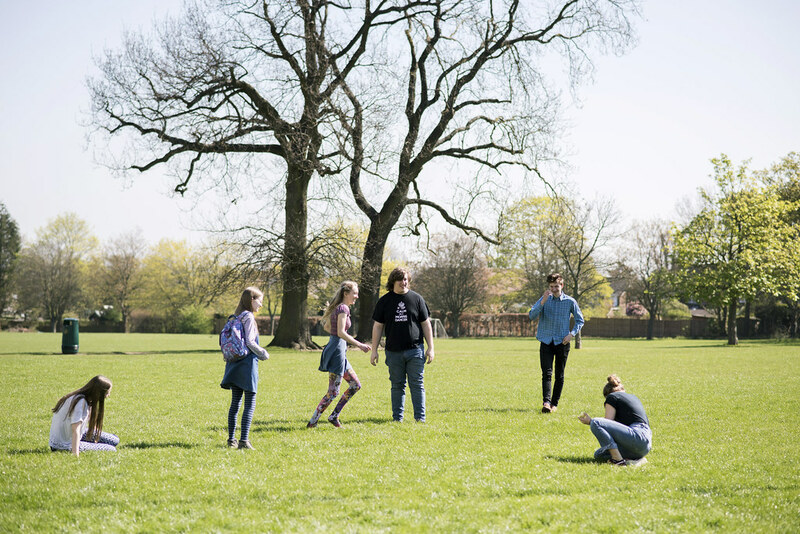 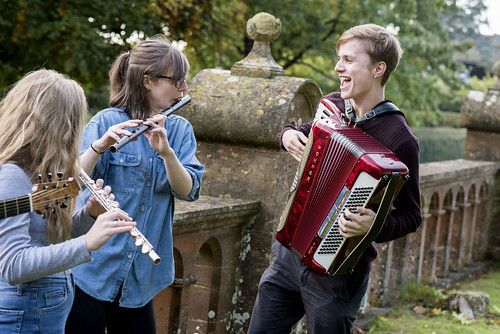 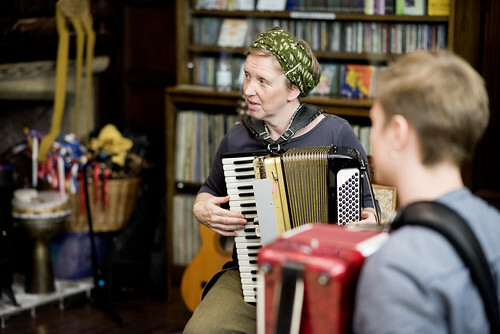 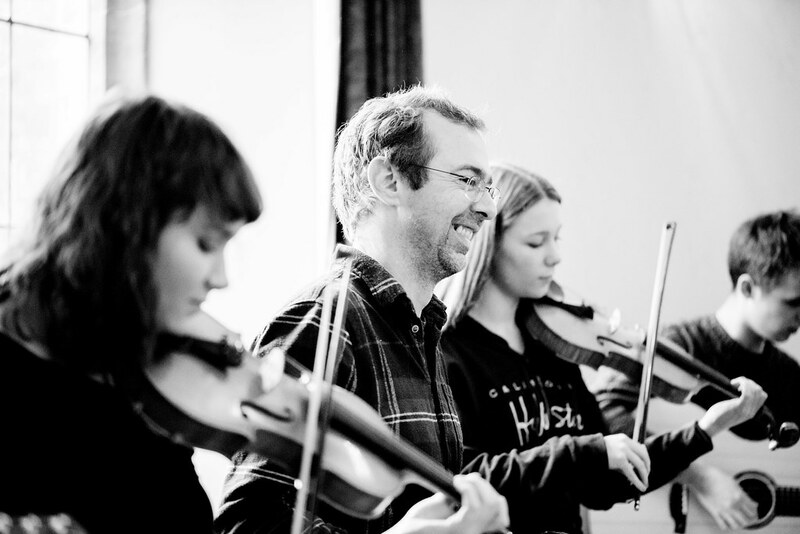 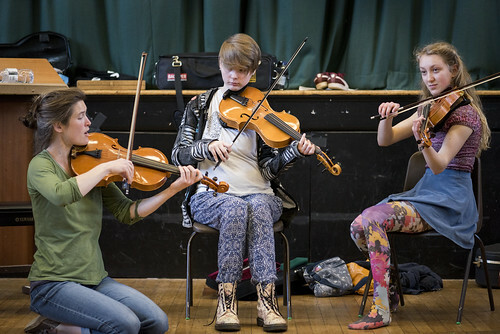 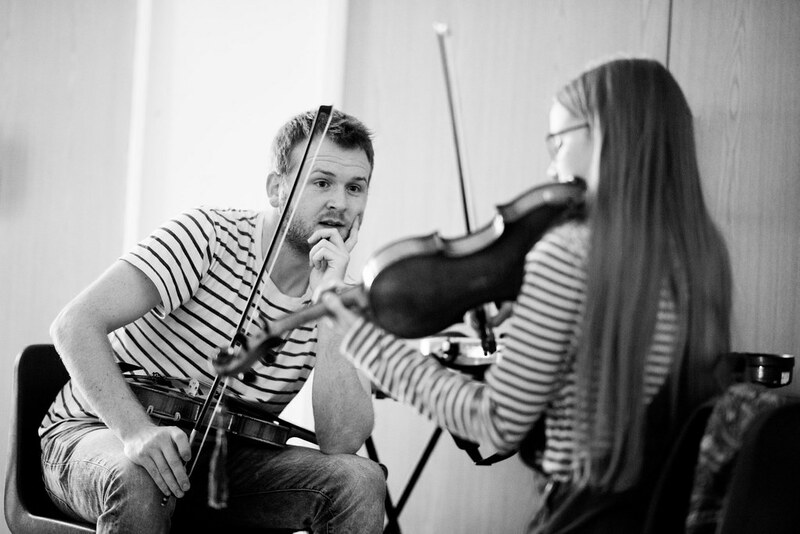 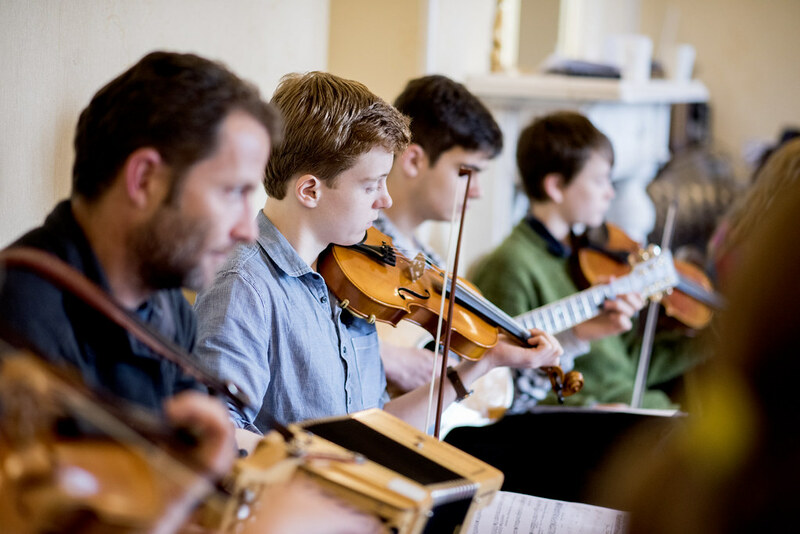 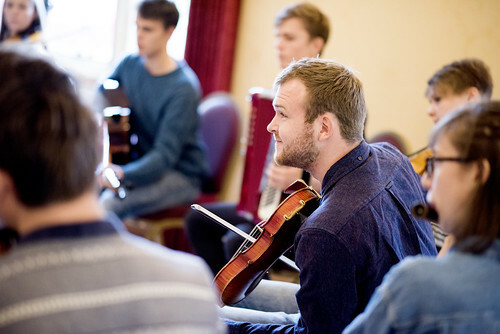 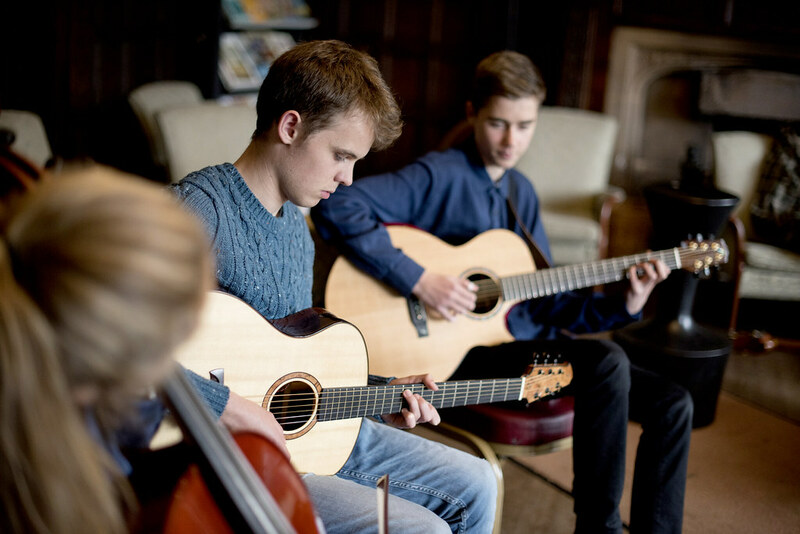 The Ensemble supported traditional trio Leveret, who had also tutored the young musicians during the intensive residential course at Waddow Hall. Watch this film of the residential week and performance. The week in Clitheroe was filled with creating repertoire and preparing for the gig, with guidance from Sam Sweeney, Miranda Rutter, Rob Harbron and Andy Cutting. 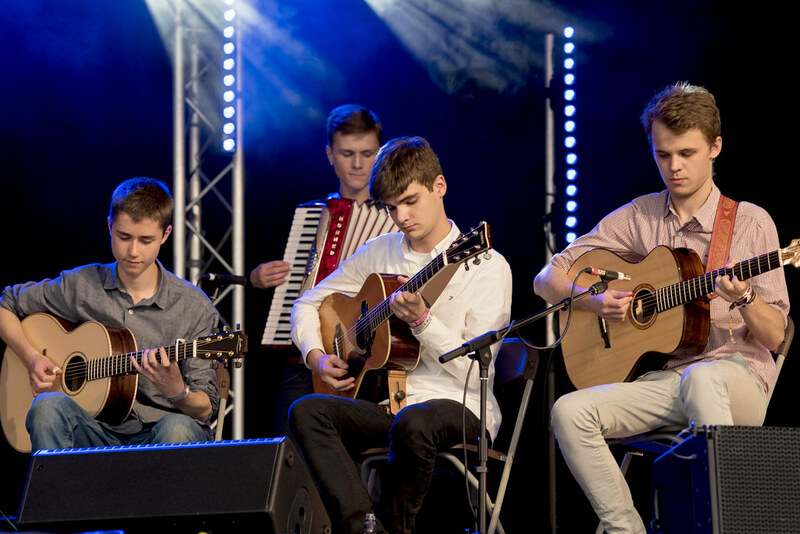 The guitarists and flautists had specialist tuition from Seth Tinsley and Sam Partridge, and everyone took part in folk dancing and sessions. 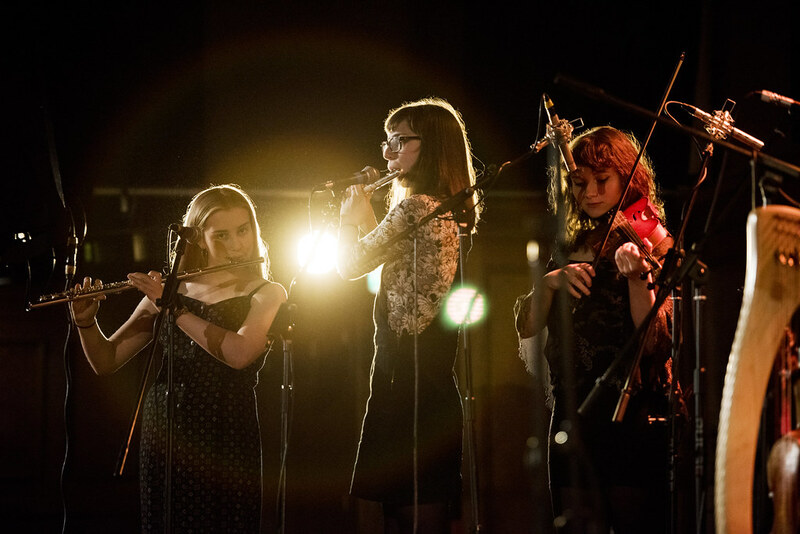 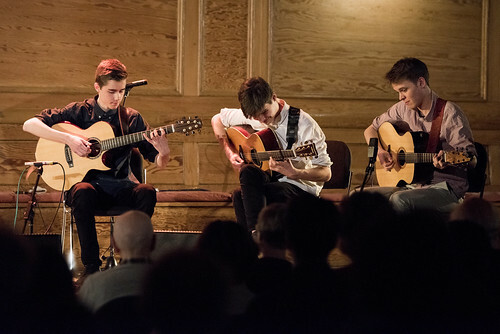 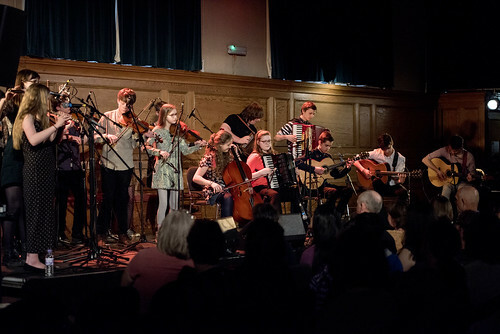 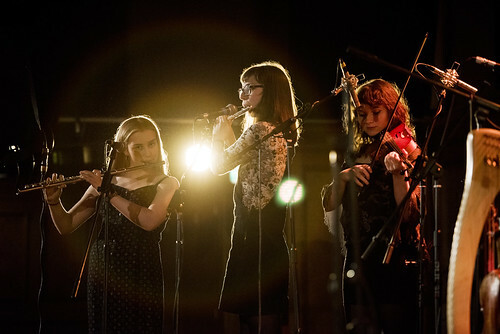 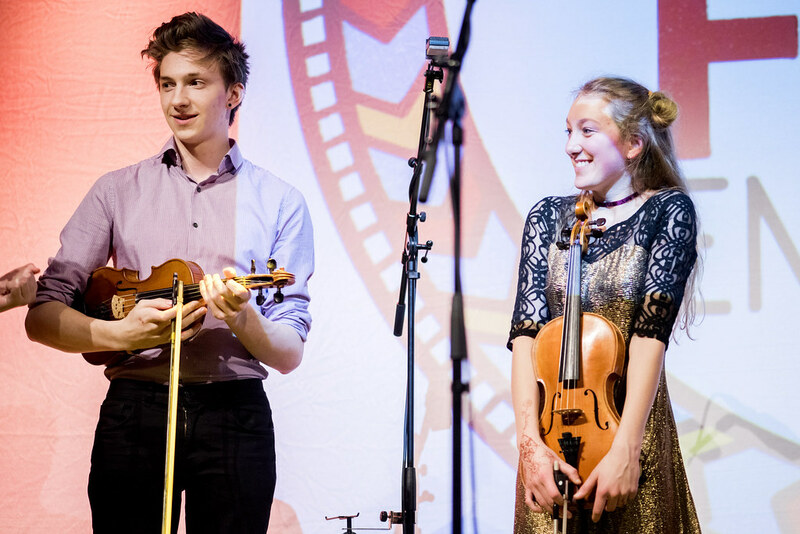 In April the young musicians were tasked with doubling their repertoire for their first full-length concert at Cecil Sharp House. 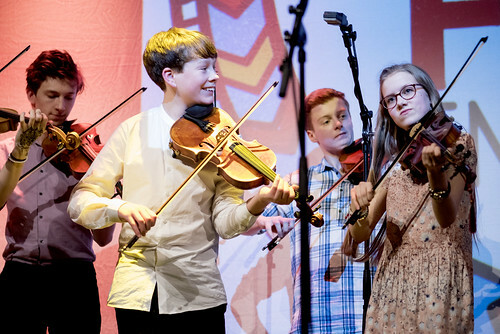 Guided by music leaders Sam Sweeney, Rob Harbron, Sarah Hayes, Jack Rutter, Saul Rose and Miranda Rutter, they created a varied 90 minute programme that they performed with confidence and enjoyment. 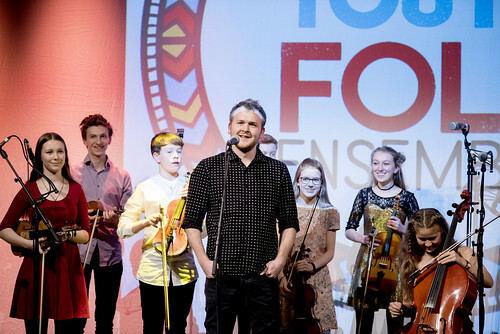 “Congratulations on a really excellent concert. 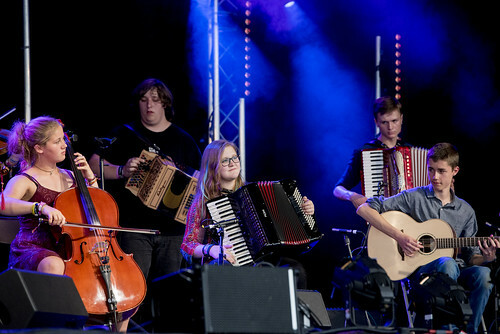 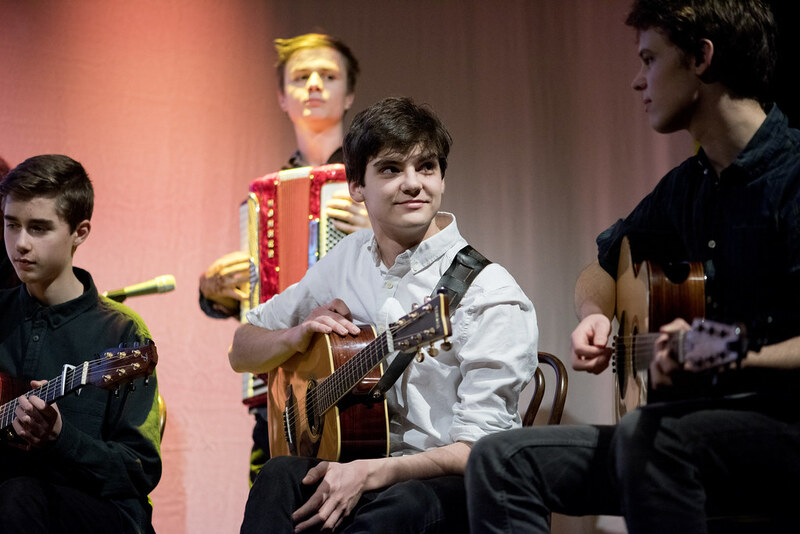 It was so good to see that level of musicianship from the folk tradition in a young group who performed with such obvious enjoyment and confidence.” Rachel Pantin, Joint Artistic Director, Musiko Musika. 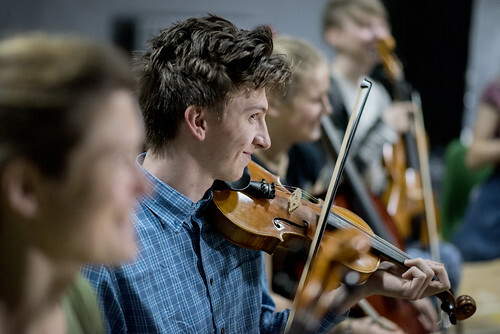 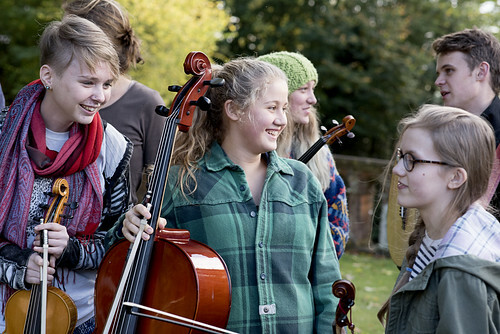 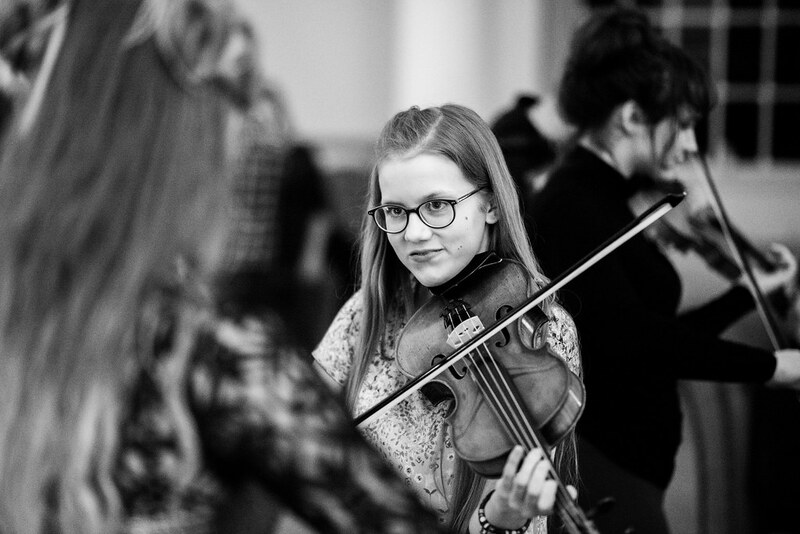 “What a triumph, for them, for their tutors, for EFDSS… It should take its place in the pantheon of youth music ensembles, amongst which it can hold its head high.” Peter Hewitt, Chief Executive, Benslow Music. 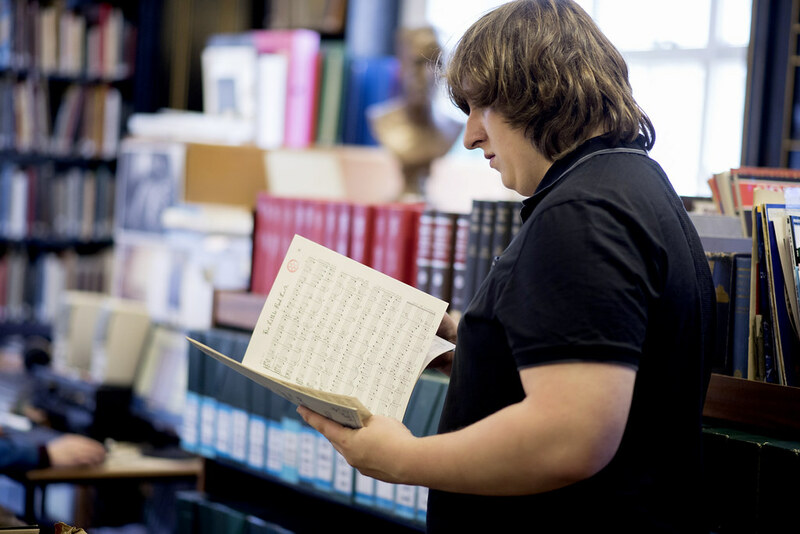 During the week we welcomed composer Peter Wiegold as a special guest to lead an improvisation workshop, and the young musicians were treated to a tour of the Vaughan Williams Memorial Library. 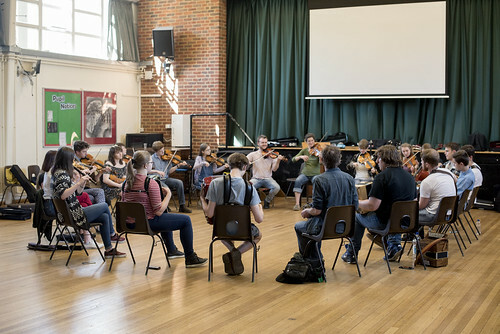 For their final residential course of the year the Ensemble met at Lea Green Development Centre in Derbyshire with music leaders Sam Sweeney, Rob Harbron, Jenn Butterworth and Dave Gray. 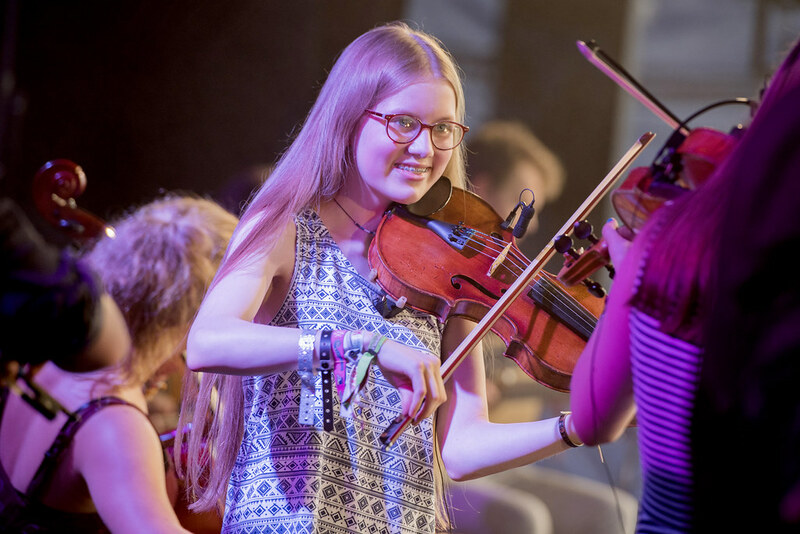 The week included workshops on teaching skills and song accompaniment, and the young musicians chose to record some of their favourite tracks in a live session. 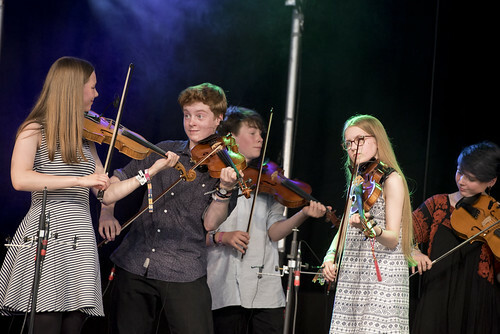 The summer tour was a celebration of their fantastic year together! 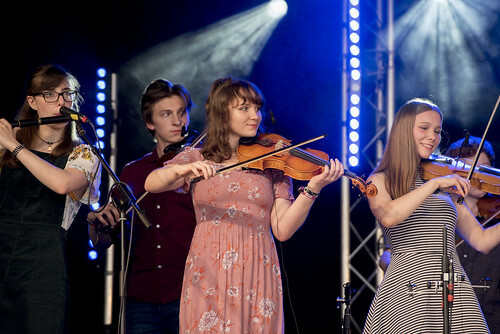 They performed at Guildhall Theatre in Derby (supported by the Derbyshire Community Fiddlers and young trio The Barber Sisters), Whitby Folk Week and Shrewsbury Folk Festival, where they went down a storm!